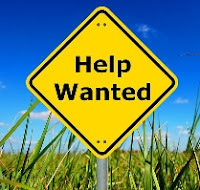 Vicki Voisin - The Paralegal Mentor with Paralegal Career Strategies: Help Wanted: Would you like to be profiled in a paralegal textbook? Help Wanted: Would you like to be profiled in a paralegal textbook? Charlsye Smith Diaz, PhD and I have teamed up to co-author a paralegal textbook that will be published by Pearson/Prentice Hall. The book will focus on building a successful paralegal career. It is nearly finished and now we need your help. Our goal is to profile several paralegals and paralegal managers throughout the book. The paralegals should have less than 5 years of experience. There are no restrictions for the paralegal managers. We need to get this wrapped up in the next 10 days so we'll be asking for a quick response. Also, participants will have to provide a professional photo to accompany their profile. If you are interested and meet the criteria -- or know someone who would be perfect for this -- please contact Vicki at vicki@paralegalmentor.com for more details. 1. A paralegal with at least one year experience who is changing careers. 2. A paralegal with at least one year experience for whom this is a first career. 3. A paralegal who has recently finished an internship and a paralegal manager/hiring manager who will discuss the qualities of a good intern. 4. A paralegal who used networking or social networking to land a job. 5. A paralegal who has a fabulous portfolio. What does it include? How was it presented? 6. A paralegal manager/hiring manager who discusses how resumes are narrowed. 8. A paralegal manager/hiring manager who can identify a quality they like to see in interviewees. 10. A paralegal who will talk about staying on top of technology trends, even if the law firm lags behind. 11. A paralegal who has a great tip for organizing time. 12. A paralegal who has a great tip for organizing office space. 13. A paralegal who reluctantly said yes to something and is happy that she did.